Picturing Disney: Epcot World Tour: China Pavilion! Often crowded but worth working your way through there is beauty to take in all around, once you are done taking in and taking pictures of the grandeur of the pavilion there is still plenty to do! 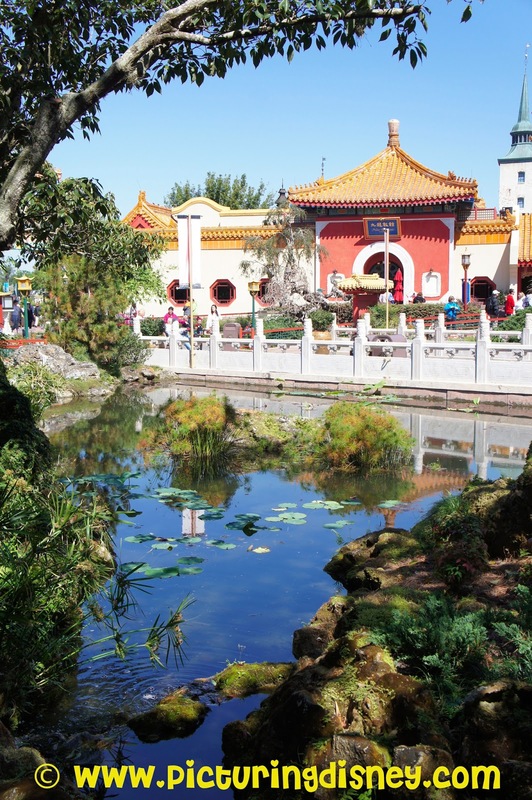 From the art and architectural style to the Reflections of China show, you and your family will love exploring, shopping, and dining here (although I recommend the quick service over the table service restaurant here). Even the Flower and Garden Festival addition was magnificent!